Our Libretto (left) has given trainer Grahame Begg an overdue Flemington winner. Our Libretto has stretched her winning sequence to three for trainer Grahame Begg with a hard-fought victory at Flemington. 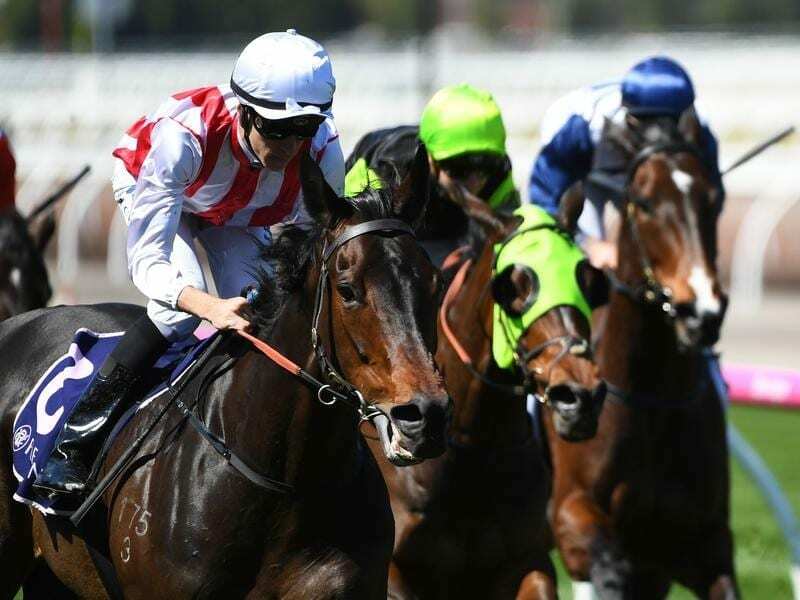 Previously prepared in New Zealand, Our Libretto scored at her first start for Begg at Sandown in July before again winning at that track last month. On the strength of those two victories Our Libretto was sent out an odds-on favourite under Jordan Childs in Wednesday’s Briseis Handicap in which she was successful by a long neck. The race didn’t pan out for Our Libretto as Begg and connections expected with the mare stuck away on the rail before the home turn. “She likes a bit of room to move through her gears and they weren’t going that fast,” Begg said. Begg is now looking towards the Pinker Pinker Plate (2025m) at Cranbourne on October 12 as the mare’s next outing. “We got her as a blank canvas so we were a bit conscious that it might all come a bit too quickly for her,” Begg said. “She’s done a fantastic job this time around. Begg said Our Libretto’s victory was his first at Flemington since the halcyon days of top-class sprinter All Silent in 2009.